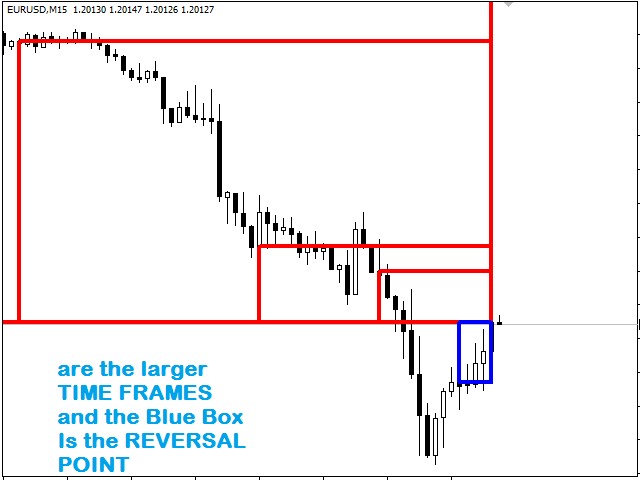 INDICATOR TO SHOW THE TOPS AND BOTTOMS OF THE MARKETS. 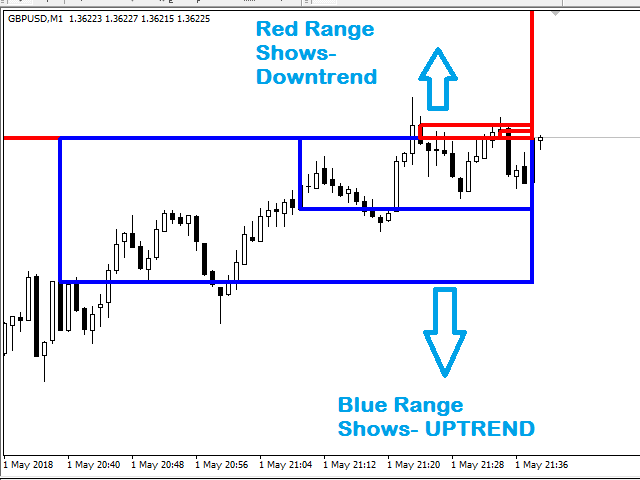 Graphical Analyses - for 6 time frames and bars ranges (customizable). The 6-time frames can be set to requirement. 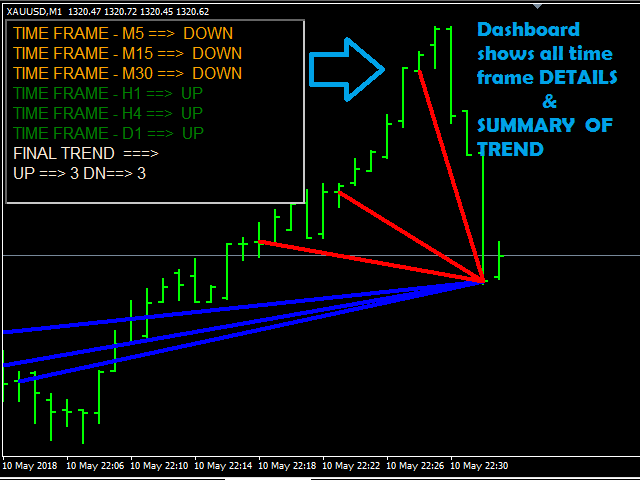 Professional tool for getting a graphic display of the complete market trends. 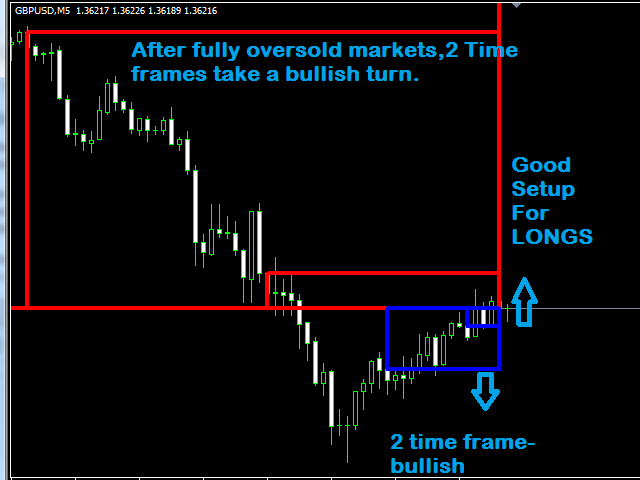 The Indicator helps in simple and effective ways to see what each time frame is doing - bullish or bearish. 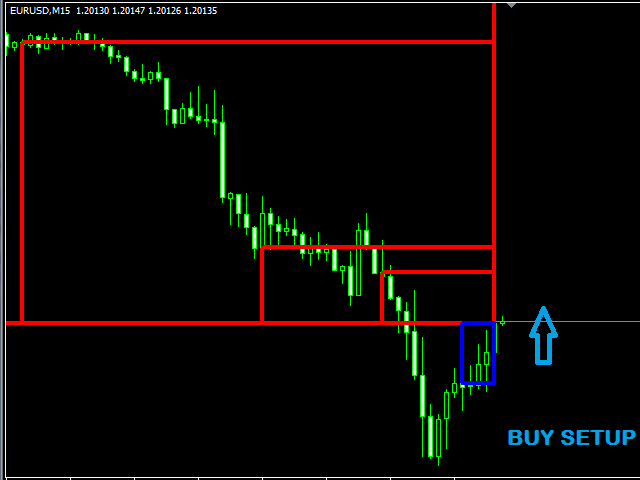 The trader just needs to know about this and he is well equipped to take a high probability trade. 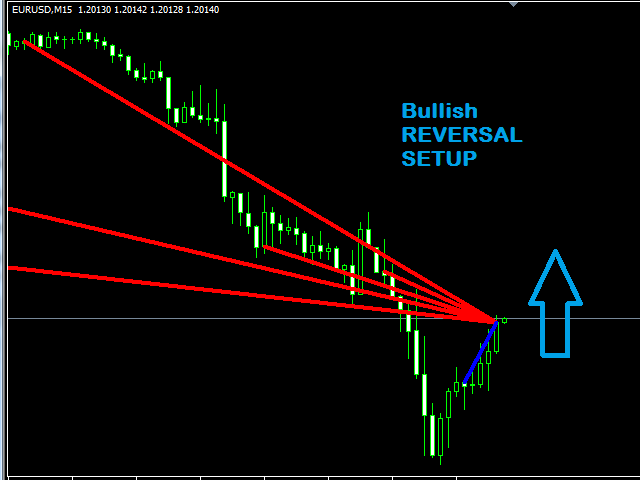 When all the higher time frames have turned bullish means it is highly overbought and then there is the best possibility of selling at TOPS. 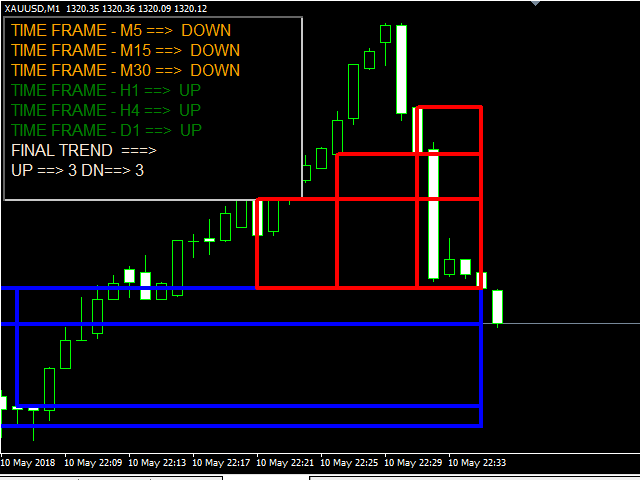 THE indicator- CAN SHOW tops and bottoms of markets. 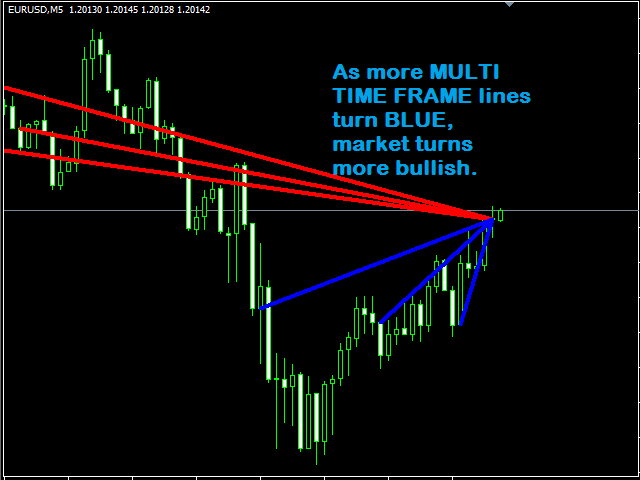 Multi Time Frame Settings (Period Of Time and Bars to DISPLAY the trend) - Adjust as per requirement. 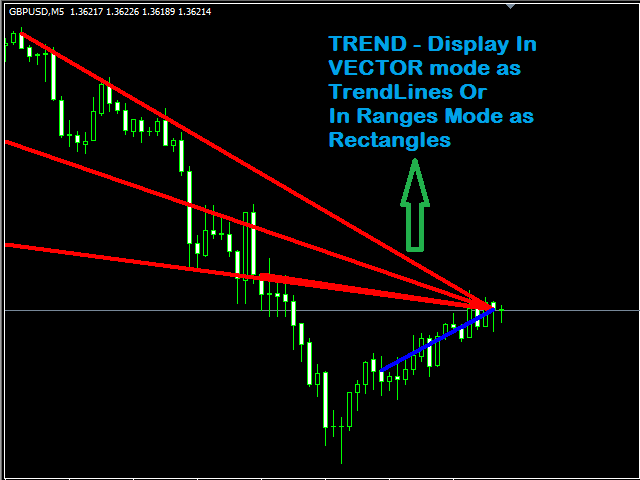 width = 4; - Thickness of the Trend Lines/ranges for the Multi Timeframe Trends display. 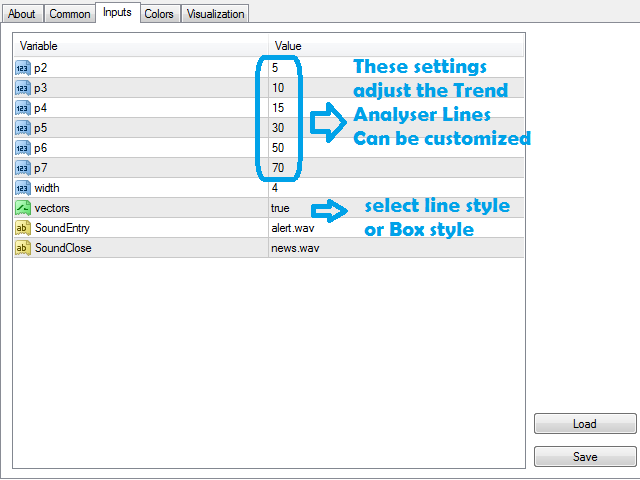 vectors = True; - Enable display as Trend Lines, FALSE- enables display as Rectangle Boxes. 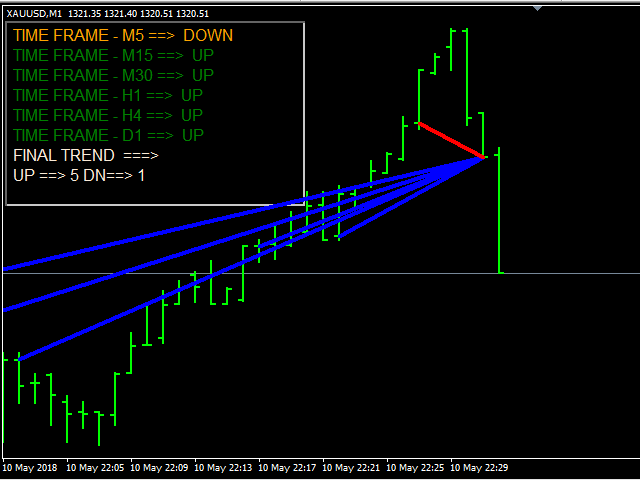 SoundEntry = "alert.wav"; - ALERT sound - when a REVERSAL TREND IS FORMED. 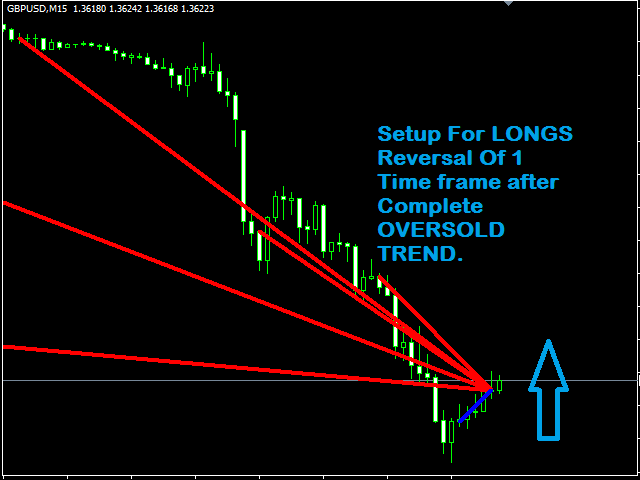 SoundClose = "news.wav"; - ALERT sound - when a REVERSAL TREND IS OVER.